A variety of Defence related stories are covered in today’s news, including the Defence Secretary’s meeting with key allies in Paris yesterday, the forthcoming Sun Military Awards, reporting around the future of Sheffield Forgemasters and the continuing conflict in Yemen. The Daily Telegraph. reports that Western allies are planning major assaults to 'collapse' Daesh’s two main centres, Raqqa and Mosul. The coverage comes after a meeting between the Defence Secretary Michael Fallon and his US counterpart Ashton Carter, as well as ministers from five other western powers, at a summit in Paris yesterday where renewed action to break the terrorist group was discussed. We have made strong progress in recent weeks. Now the campaign is moving into a new phase where we aim to systematically dismantle Daesh’s structure and capabilities. That means striking harder at the head of the snake, with an increased focus on infrastructure, lines of communication and supply routes. You can read more about the Defence Secretary’s visit to Paris here. The first crop of nominees for the Sun’s Military awards have been announced today in the paper. Read more about nominations for the Most Outstanding Soldier, Best Reservist and Overcoming Adversity here. The Financial Times (FT) suggests that the Government blocked Sheffield Forgemasters, which produces parts for UK Defence asset, from reaching a rescue deal with Chinese investors, on what he paper describes as national security grounds. According to the FT, the company had been in talks with an unnamed Chinese state-owned group before Christmas when it was informed the Government would oppose the deal. The article suggests the MOD, in particular, was against a deal because Sheffield Forgemasters makes parts for the submarines that carry Trident nuclear missiles. Business Minister Anna Soubry is quoted in the piece saying the Government would not let the company “go under”. 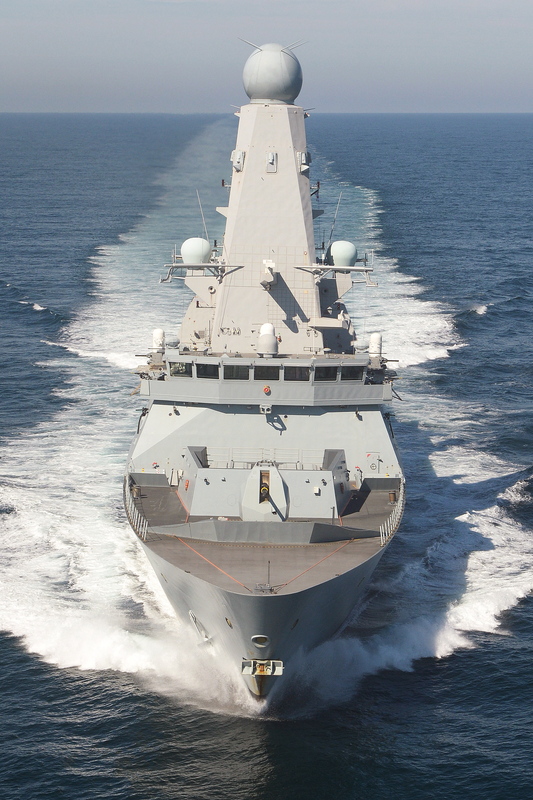 Steel is key for defence programmes, and is sourced from a range of suppliers. It is the responsibility of prime contractors to obtain the steel required to complete MOD programmes at a competitive cost, within time constraints and to the required quality. However, as the Government has made clear, across all of Government’s major procurements, we are working hard to make sure that we source British Steel where we can. Sheffield Forgemasters is a subcontractor in the Submarine Enterprise. It is the responsibility of the Prime Contractor to manage its supply chain and we are pleased that they are doing so in this case. The Independent reports that British arms companies have cashed in on Saudi Arabia’s military campaign in Yemen by increasing arms sales to the country by over 100 times to more than £1bn in three months, according to official figures. Amnesty International UK accuses the Government of ignoring 'overwhelming evidence' of the targeting of civilians while The Times picks up on comments made by the SNP’s Angus Robertson yesterday when he said that the UK has been allowed to be drawn in to Saudi Arabia’s war with Yemen without Parliament’s permission. During the exchange at Prime Minister’s Questions, the Prime Minister defended British support for the legitimate government of Yemen, reiterating that the UK has the strongest export controls in the world on weapons and that British personnel are not directly involved in the Saudi-led coalition operations. We operate one of the most rigorous and transparent arms export control regimes in the world with each licence application assessed to ensure compliance with our legal obligations. UK military personnel are not directly involved in Saudi-led Coalition operations, we are offering Saudi Arabia advice and training on best practice targeting techniques to help ensure continued compliance with International Humanitarian Law. We support Saudi forces through longstanding, pre-existing arrangements and will consider any new requests. Royal Navy warship HMS Defender has been given a vital uplift in stores and fuel as she continues her work fighting Daesh as part of the US Carrier Strike Group in the Gulf. In a highly complex scenario Type 45 destroyer HMS Defender was refuelled with 500,000 litres from US tanker USNS Pecos at the same time as US aircraft carrier USS Harry S Truman. HMS Defender is on a nine month deployment, and will continue working with the American and French carrier strike groups to support their air campaigns against Daesh in Iraq and Syria.